A high pressure system / upper ridge dominates Europe while a deep trough is placed over N Atlantic, a cyclone affects SW Iceland. A weak short wave trough rapidly moves across the central Europe and W Balkan peninsula towards the south. 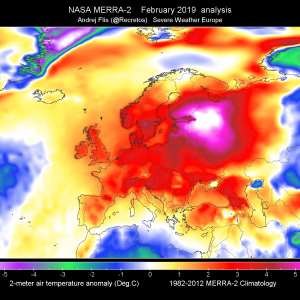 A large upper low remains above the SE Mediterranean. ENH/SLGT risk areas have been issued for SW Iceland with threat for non-convective severe winds, locally in excess of 120 km/h. 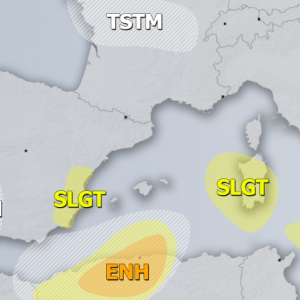 ENH/SLGT risk areas have been issued for SE Mediterranean, Cyprus, S Turkey into N Middle East with threat for severe storms with marginally large hail, severe winds and intense rainfall. An enhanced risk for tornadoes exists within the ENH risk area and along the coast of Turkey due to strong LL helicity with easterly flow. 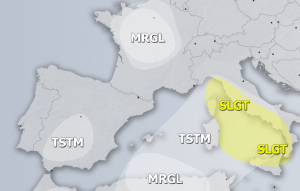 A SLGT risk has been issued for extreme SW Balkan peninsula, parts of S Italy and Ionian sea with threat for severe storms with severe winds, large hail and heavy rainfall, associated with a rapidly moving short-wave trough from north to south. 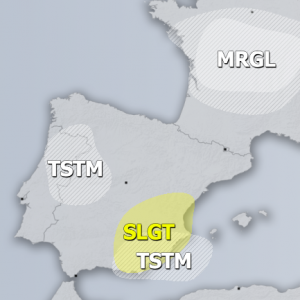 TSTM+/TSTM risk areas have been placed where convective storms are expected, but should mostly remain sub-severe outside SLGT/ENH areas. 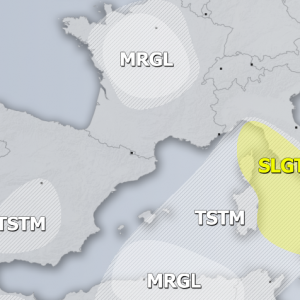 TSTM+ area across and around Aegean sea could see some more organized storms, waterspouts likely.